A new Foundation President is named. 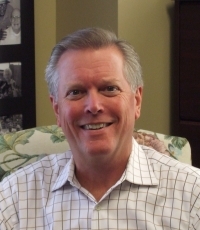 The Board of Trustees of Wesley Senior Ministries Foundation has named David Kabakoff as President effective Novemer, 1, 2012. David joins the Foundation with over 30 years of marketing, sales, organizational management, training and public speaking experience in a variety of industries. In addition, David’s experiences include over 15 years in non-profit organization board participation, management, volunteer coordination and fundraising. David grew up in Memphis and attended both Wesleyn Hills and Mullins United Methodist Churches. He and his wife, Carol, reside in Collierville with their three dogs. They are active partners in the Heartsong United Methodist Church in Cordova. We are excited about the leadership, experience and energy David brings to this ministry and he is looking forward to sharing the Wesley Senior Ministries Foundation’s vision and goals with our local church families. Wesley Senior Ministries Foundation is a Christian ministry that is committed to providing resources to enhance the quality of daily living and well-being for the residents of Wesley Senior Ministries Communities throughout West Tennessee, Western Kentucky and Eastern Arkansas.